Heat a large non-stick skillet to medium to medium-high heat. Once hot, add potatoes. Cook potatoes 25-30 minutes, only stirring every 7-8 minutes to allow all sides to become brown and crispy. Stir in seasonings about halfway through. Potatoes are done once they are fork-tender (very crispy on the outside, fluffy on the inside). 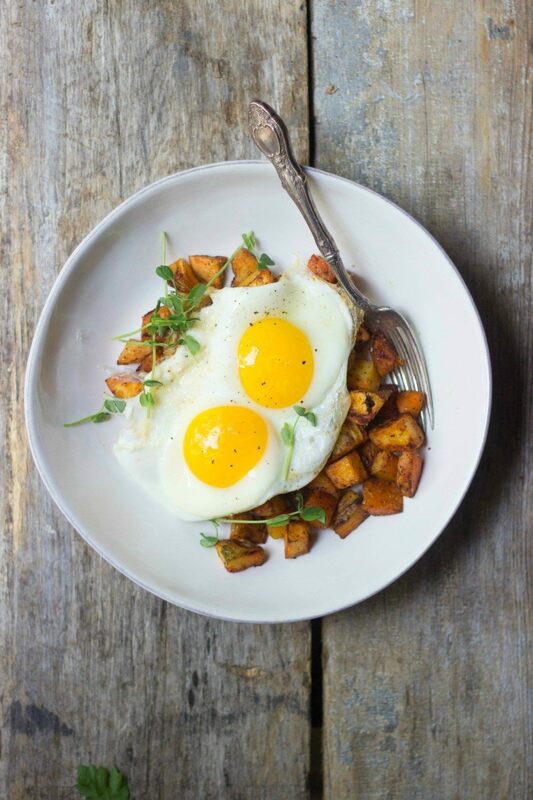 Serve with fried eggs and micro greens.